RNA-binding protein implicated in the regulation of several post-transcriptional events. Involved in pre-mRNA alternative splicing, mRNA translation and stability. Mediates exon inclusion and/or exclusion in pre-mRNA that are subject to tissue-specific and developmentally regulated alternative splicing. Specifically activates exon 5 inclusion of cardiac isoforms of TNNT2 during heart remodeling at the juvenile to adult transition. Acts as both an activator and repressor of a pair of coregulated exons: promotes inclusion of the smooth muscle (SM) exon but exclusion of the non-muscle (NM) exon in actinin pre-mRNAs. Activates SM exon 5 inclusion by antagonizing the repressive effect of PTB. 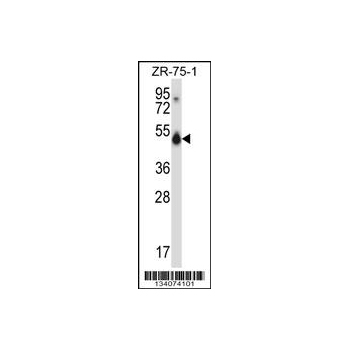 Promotes exclusion of exon 11 of the INSR pre-mRNA. 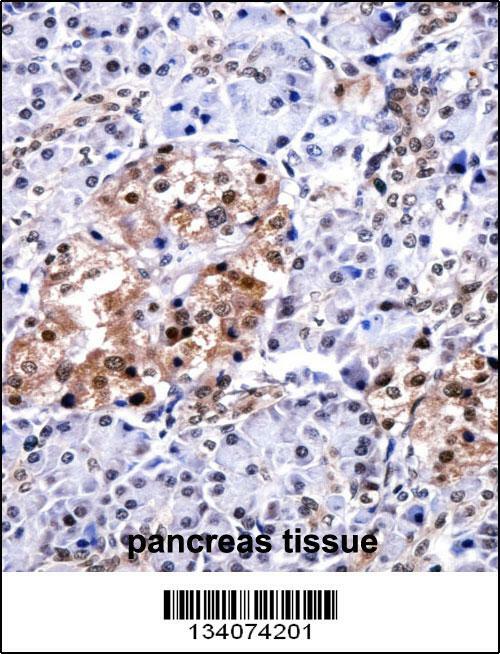 Inhibits, together with HNRNPH1, insulin receptor (IR) pre-mRNA exon 11 inclusion in myoblast. Increases translation and controls the choice of translation initiation codon of CEBPB mRNA. Increases mRNA translation of CEBPB in aging liver . Increases translation of CDKN1A mRNA by antagonizing the repressive effect of CALR3. Mediates rapid cytoplasmic mRNA deadenylation. Recruits the deadenylase PARN to the poly(A) tail of EDEN-containing mRNAs to promote their deadenylation. Required for completion of spermatogenesis . Binds to (CUG)n triplet repeats in the 3'-UTR of transcripts such as DMPK and to Bruno response elements (BREs). Binds to muscle-specific splicing enhancer (MSE) intronic sites flanking the alternative exon 5 of TNNT2 pre-mRNA. Binds to AU-rich sequences (AREs or EDEN-like) localized in the 3'-UTR of JUN and FOS mRNAs. Binds to the IR RNA. Binds to the 5'-region of CDKN1A and CEBPB mRNAs. 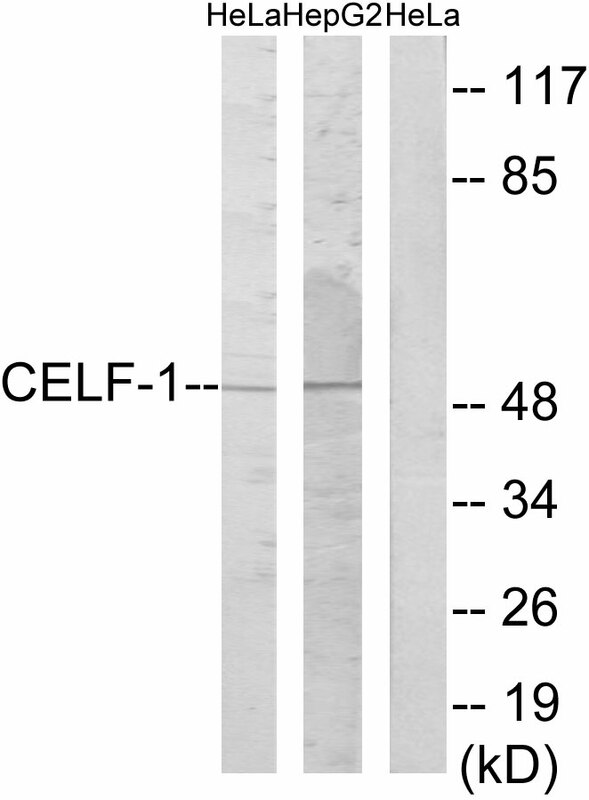 Binds with the 5'-region of CEBPB mRNA in aging liver. Nucleus. Cytoplasm. 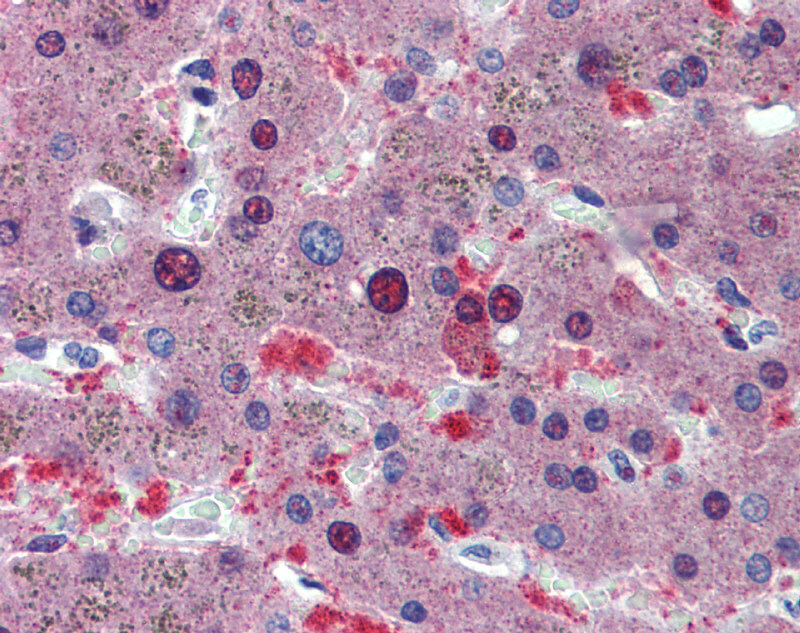 Note: RNA-binding activity is detected in both nuclear and cytoplasmic compartments.